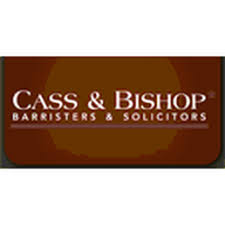 As the Senior Counsel you will provide general legal advice and direction to various members of the organization. You will support management with business and legal transactions, offering guidance and assistance for compliance activities and reviewing, drafting or negotiating contracts. What you’re responsible for: Providing legal advice and guidance on various issues related to all facets of the business, including assessing the need to involve stakeholders and retain external counsel. Negotiating, reviewing and drafting legal agreements and insurance documents, including providing advice on major contracts and internal policies. Working collaboratively with the team on co-operative and member owner issues, to create expertise in co-operative, insurance and financial law. Cultivating and maintaining effective relationships with key legal and business personnel, to ensure the legal needs of the organization are met. Representing the organization in industry groups and committees, taking a on legal or compliance issues, and keeping current on legislation and legal developments. What to expect: Detail oriented work that requires a high degree of mental concentration for extended periods of time. You will be subject to a Criminal Record and Consumer History background check as a condition of employment, in the event you are the successful candidate. To be successful: You have an innovative mindset to improve operational efficiencies and ability to influence change, with a primary focus on client needs. You use critical thinking skills to recognize assumptions, evaluate arguments, draw conclusions and proactively propose solutions. You have strong communication skills to clearly convey messages and explore diverse points of view. You build trusting relationships and provide guidance to support the development of colleagues. To join our team: You have four years of progressive legal and/or regulatory experience in a corporate, commercial, insurance or financial environment. You have a Law Degree and are a member in good standing of the Bar in any Canadian province or territory. What we offer: Training and development opportunities to grow your career with one of Canada’s Best Employers. Flexible work options and paid time off to support your personal and family needs. A holistic approach to your well-being, with physical and mental health programs and a supportive workplace culture. Paid volunteer days to give back to your community. A comprehensive total rewards package, including competitive salary, bonus, pension and benefits. TransUnion believes in investing in the best people. Our dynamic and diverse environment values and promotes the growth of associates in their jobs, roles and careers. Our organization supports ambitious individuals who seek career satisfaction and development. Who We Are At TransUnion, we are dedicated to finding ways information can be used to help people make better and smarter decisions. As a trusted provider of global information solutions, our mission is to help people around the world access the opportunities that lead to a higher quality of life, by helping organizations optimize their risk-based decisions and enabling consumers to understand and manage their personal information. Because when people have access to more complete and multidimensional information, they can make more informed decisions and achieve great things. Every day TransUnion offers our employees the tools and resources they need to find ways information can be used in diverse ways. Whether it is helping businesses better manage risk, providing better insights so a consumer can qualify for his first mortgage or working with law enforcement to make neighborhoods safer, we are improving the quality of life for individuals, families, communities and local economies around the world. What you will do The incumbent will provide legal services to TransUnion Canada ensuring that business practices, policies and dealings of the corporation meet regulatory requirements and that its operations are within the scope established by law. Mandated with providing counseling to management regarding contract management and contract negotiation, interpreting and preparing legal documents and rendering opinions regarding issues faced by TransUnion and its new or existing subsidiaries. He or she must have a broad-based knowledge of business-at-large and contractual matters and must rapidly learn the issues they face in order to legally protect the company. Responsible for foreseeing and protecting the company against legal risks. Provide legal assistance and direction to company regarding the legal aspects of all ongoing legal matters. Review and draft complex contracts, certificates and related documents and represent the company in negotiations. Acts as counsel to company in other matters requiring legal review and assistance, and provides liaison with outside counsel when appropriate. Provide formal and informal training for internal clients (sales meeting presentations, operations, one-on-one discussions). Provide support to team initiatives. Train other associates on law and procedures using on-the-job training and advice on how a task should be completed. Perform other related duties as assigned. What you will bring This position requires a Bachelor of common law and 2-3 years of experience as a lawyer (financial or regulatory environment preferred). Must be a member of the Law Society of Upper Canada. Knowledge and understanding of the following areas of law are recommended: Consumer reporting legislation, PIPEDA and other privacy legislations, technology, e-commerce privacy, contract law and general corporate commercial knowledge. An ability to work in a team environment and with peers and management on all levels of the organization. Strong organizational, verbal and written communication skills and an ability to effectively and efficiently manage multiple, complex, and often conflicting and quickly changing priorities. Strong analytic and problem solving skills are required to successfully assist in complex contract negotiations, manage and complete assignments and coordinate internal resources effectively. Proficiency with Microsoft Windows, Word, Excel and Access. Ability to read, interpret, and understand documents such as laws, business documents, system documents, company policies, and procedures. Proven ability to effectively and efficiently manage multiple tasks in a fast-paced environment. Strong negotiation, and analytical skills (i.e., logical thinking, problem solving, and decision-making). This position requires some travel. Working of knowledge of French preferred. Accommodation is available, including for applicants with disabilities, in accordance with applicable laws.